Avatar Chat is a new way to share a space with someone else and feel presence across distance. Now, you and a friend can appear in each other's spaces as avatars and share Lumin apps, such as images in Gallery or Helio web content. Spatial computing is a new way to amplify and enhance our lives, but it really shines when shared. 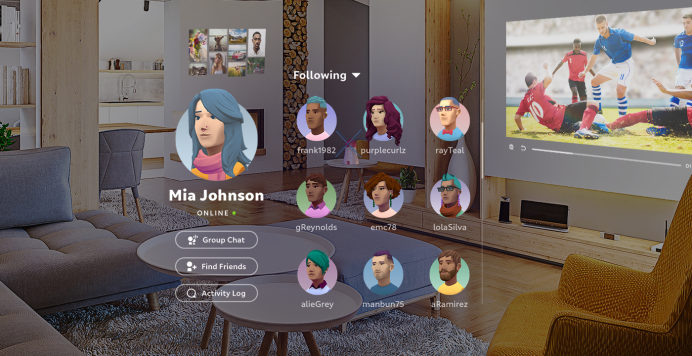 With each update to Magic Leap One, we're rolling out new features to enable you to create shared spatial experiences, and with the latest Lumin OS update - 0.93 - you can now use Avatar Chat to call a friend. Being social is best in a shared space. We learn through show-and-tell. We create together through hands-on collaboration. We get together to throw a party. The feeling of presence is a natural part of social connection. And this became our challenge — how can we do things together and feel present even when we're far apart? Magic Leap One can sense human input and expression like no other device, enabling our Avatar Behavior Engine to drive avatars with incredibly expressive eyes and faces. Your avatar’s eyes blink as you blink, and moves exactly as you move around the room. Gesture tracking powers high-five and fist bumps. This is a brand new form of embodied communication. Later this year, we'll launch the ability to fully personalize your avatar in detail so it can look just like you. And in the next few weeks, we’re making available a set of developer tools for you to create your own custom avatars. It's weird, at first, and a lot of fun, and we can't wait for you to try it! 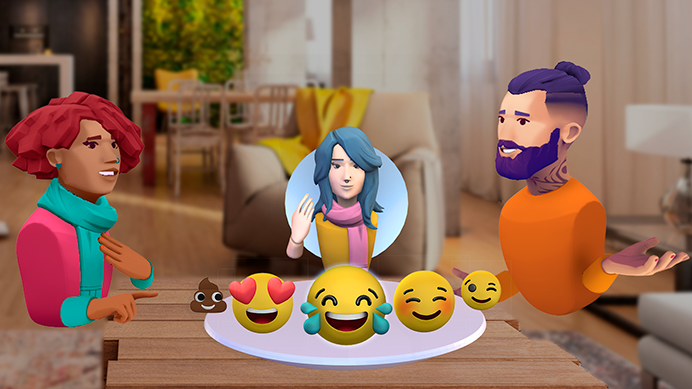 Capture and share videos of your experiences chatting with friends using #magicleapsocial. We want to hear your feedback and ideas for how to bring rich social interaction and play to the platform. For us, this is just the start. We imagine a future of seamless multi-user experiences in spatial computing among people near and far. Fire up Social from the Launcher. In the Social app, you can add friends and call them as an avatar. Double check your privacy settings to make sure you can be found and called by others. On the Connections Grid, select the large portal above your name to go to your Profile. In your Profile, swipe to the left side of the scene and scroll to the bottom of the text fields to the Preferences button. Select Preferences and navigate to the Privacy tab view. In Social, go to Find Friends. From there, you can search for other users with their Magic Leap ID Nickname or email. You can also link a Google account to view recommended Magic Leap users from your Google Contacts. In your connections grid, click on a friend's icon and select Chat. If they're online, they'll get a notification and can accept your call. When looking at the call console in the center of the call, tap the bumper to surface call controls. From here, you can access emojis, muting / blocking features, and end the call. You can drag and drop Gallery and Helio content into the UI Mini Map to stream it to your friend on the call.